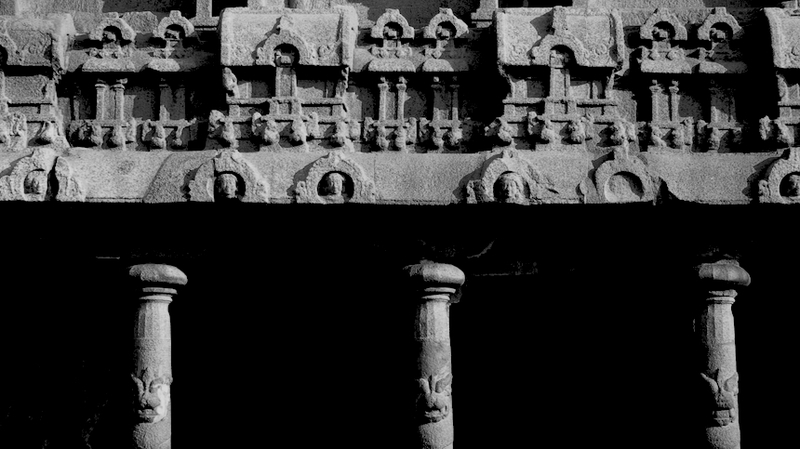 Deities adorn the right wall of the Arjuna Ratha, above, while lions guard the grand entrance of the Bhima Ratha, below. 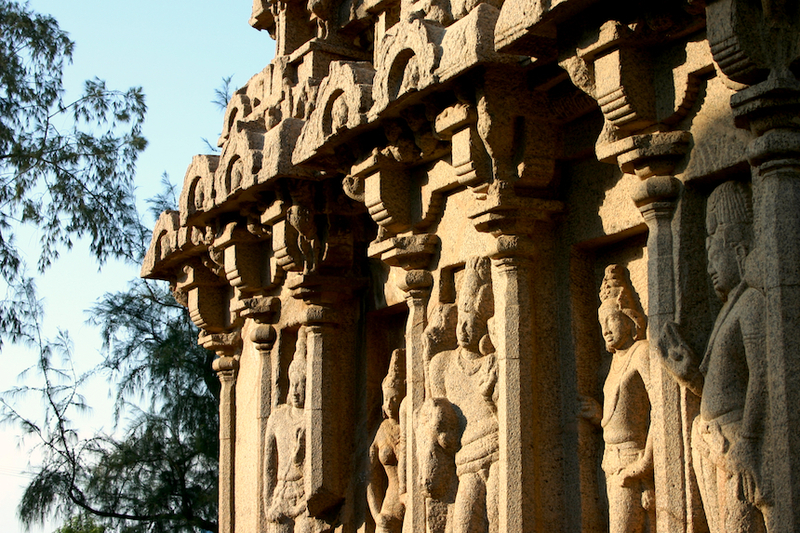 These incomplete (and thus, unused) temple buildings are but two of the eight monolithic sculptures that are collectively known as the Pancha Rathas of Mahabalipuram. Really like the black and white rendition. The above picture is also wonderful in the soft light present.